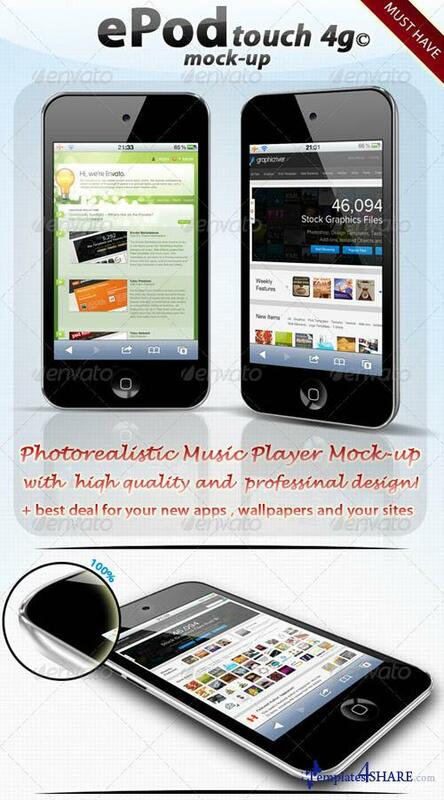 Photorealistic music player mock-up - template. All shapes are vectors and smart objects. Enjoy the high quality, the big resolution and the clean design. Best deal for your new apps, wallpapers and your sites! GraphicRiver Roll Up Banner Mock-up "Vol 01"